** The Å character is the sign of the cutting engineer. *** Imported UK issue only. 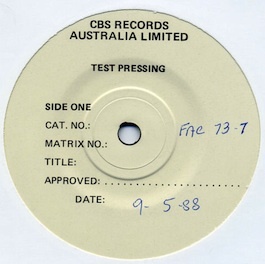 Initial copies with sticker having silhouette logo and "Factory Records Australasia Import".